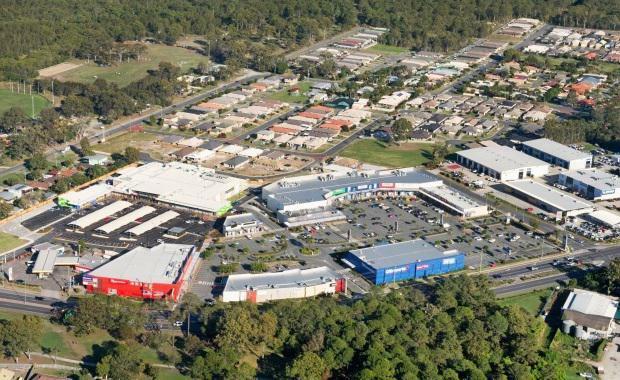 Sentinel Property Group has sold its retail homemaker property at Rothwell north of Brisbane. The sale price of $30.68 million represents a strong increase on Sentinel’s $25.75 million acquisition of the centre in December 2011. The retail homemaker centre is set on a 39,350 sqm site on Deception Bay Road at Rothwell, 28 kilometres north of the Brisbane CBD. It features five stand-alone buildings with a total lettable area of 11,088 sqm with tenants including Officeworks, Ray’s Outdoors, AMart Sports, the Commonwealth Bank, Healthy Pharmacy, Farmer Pats and Nutrition Warehouse. There is also car parking for 479 vehicles. Sentinel Managing Director Warren Ebert said the sale demonstrated Sentinel’s commitment to maximising returns for its investors at all times. “The sale is a great outcome for investors who have received 10.5%pa distributions paid monthly since we acquired the property,” he said. The Focus @ Rothwell property was acquired by a private undisclosed investor in an off-market transaction negotiated by Jacob Swan and Sam Hatcher of JLL. Mr Ebert said he believed it was an opportune time to sell the asset considering the ongoing competitive challenges in the local area. “There has been a huge amount of new retail development in the surrounding area, including the latest expansion of Westfield North Lakes set to commence next year,” he said. Mr Ebert said the sale of Focus @ Rothwell is the latest in a series of strong sales results for Sentinel in the past 12 months, following on from its sale of a Coronation Drive office property in Brisbane for $33.4 million, the sale of an Archerfield industrial property in Brisbane for $22.172 million, and a Granville industrial property in Sydney for $16.118 million. Sentinel this year also sold a sub-divided KFC outlet at its Menai Central retail centre in Sydney for $3.05 million. Headquartered in Brisbane, Sentinel owns and manages a national portfolio of 35 retail, industrial, office, land and tourism infrastructure assets in Queensland, New South Wales, the Australian Capital Territory and Western Australia. The privately-owned company is closing in on total assets under management of $1 billion, with more than half of its portfolio in the retail sector, in particular homemaker and neighbourhood shopping centres.